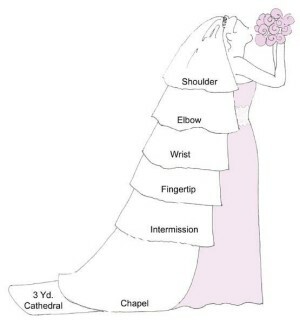 If you would like to get an idea of what length suits your frame simply measure from the point on your head where you think you would like to wear your wedding veil and measure down. This will give you an idea you would like your wedding veil to stop. As we make our bespoke veil range to measure, we can create the veil length that best suits your frame and dress. This will be the length you would like the back of your wedding veil to be plus the blusher length.